Benitez was among the first generation of Filipinos trained in the American education system which used English as the medium of instruction. She taught at the University of the Philippines’ English department from 1916 to 1951, acquiring a reputation as an outstanding teacher. In 1919, she founded "Woman's Home Journal", the first women's magazine in the country. 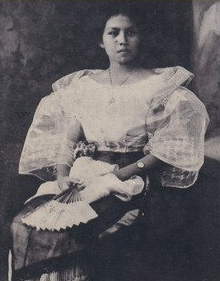 In 1928, she compiled "Filipino Love Stories," reportedly the first anthology of Philippine stories in English by Filipinos, from the works of her students. She married UP College of Education Dean Francisco Benítez, with whom she had four children. She died on November 10, 1983. The annually held Paz Marquez-Benitez Lectures (Ateneo) honors her memory by focusing on the contributions of Filipino women writers to Philippine Literature in the English language.